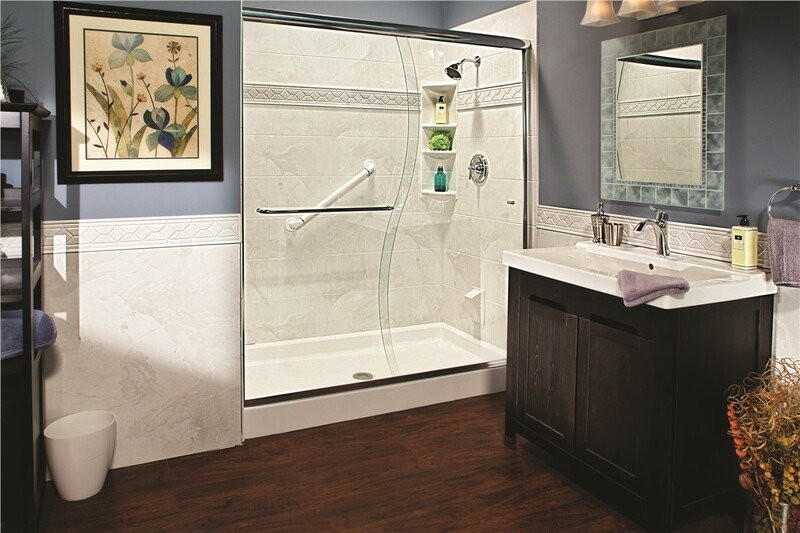 With our wide selection of showers, doors, and surrounds, we can make your bath a relaxing oasis. Creating a luxurious, efficient space in your bathroom may be easier than you think! When working with the professional crew at Reliant, you can have a stunning shower remodel completed in as little as one day—at a fraction of the cost of traditional renovation. With beautiful new showers built from industry-leading materials, there is no better choice to remodel your bathroom in Phoenix, AZ than our top-rated shower replacement company. Every family is different, so we work to create spaces that are functional for your needs. We know that being without a functional bathroom isn't an option, so instead of spending weeks dealing with a standard shower remodel, we can custom-fit a beautiful shower replacement into your bathroom in no time. Tub-to-Shower Conversions: Transform your outdated tub into a highly-efficient shower with our affordable conversion services! 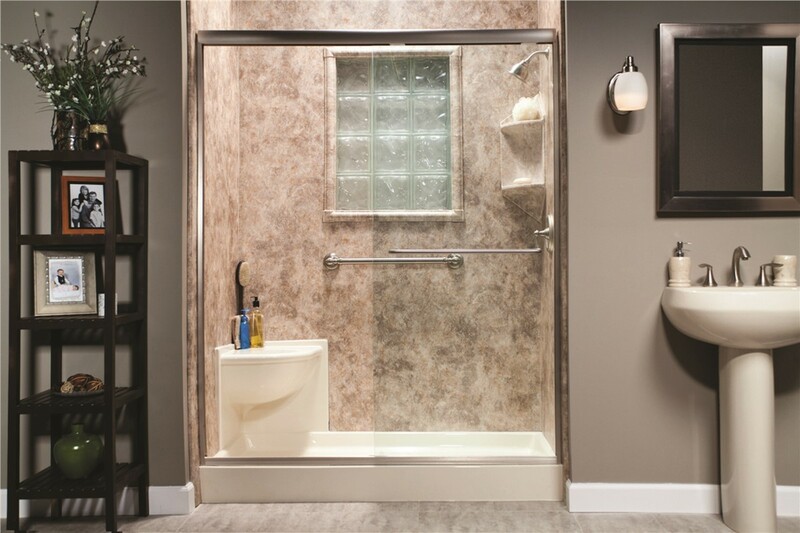 Barrier-Free Showers: Make bathing an accessible, enjoyable experience with a barrier-free, roll-in shower base. 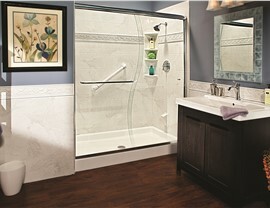 Shower Doors:Choose from our vast selection of stunning shower doors to add privacy and style to your home’s bath. Shower Remodel: If you’re ready to freshen up the look of your bathroom with a Phoenix shower remodel, call the area’s first choice for quality bathroom renovations. 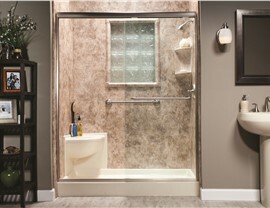 Every homeowner has a unique vision of their ideal shower, and it is our mission at Reliant to help you bring that vision to life. Through our innovative shower remodel services and guaranteed products, you can have peace of mind knowing that your shower replacement will be beautiful and functional for years to come. In addition to offering top-quality products, we also provide a level of care you can’t find anywhere else in the remodeling industry. As a family-owned company for 30 years, we have the experience to make your remodel beautiful and functional. To learn more about the new showers we offer as well as our philosophy as a company, we invite you to contact us today. Give us a call or fill out our online form to connect with our experts and schedule your free, no-obligation estimate!